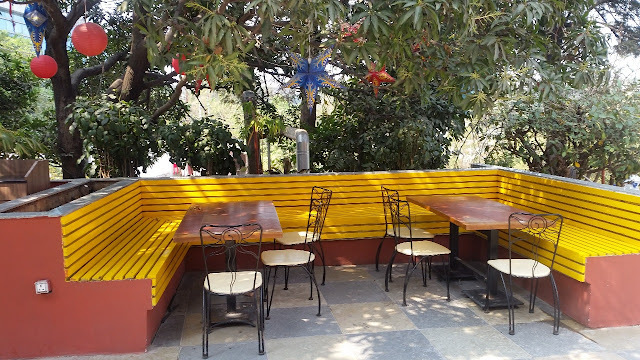 The restaurant is close to Jubilee Hills check-post tucked inside a lane. 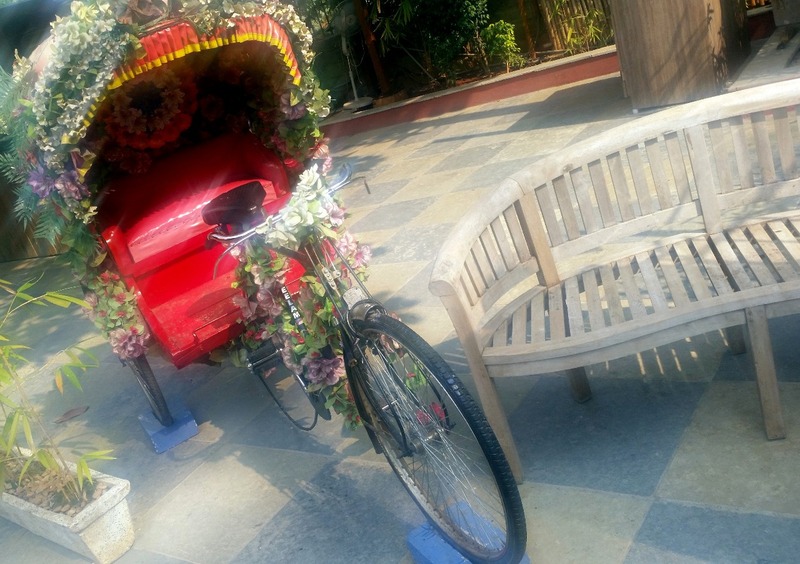 As you enter the restaurant, the first thing you admire is the open area, and a bright coloured cycle rickshaw parked near the entrance. 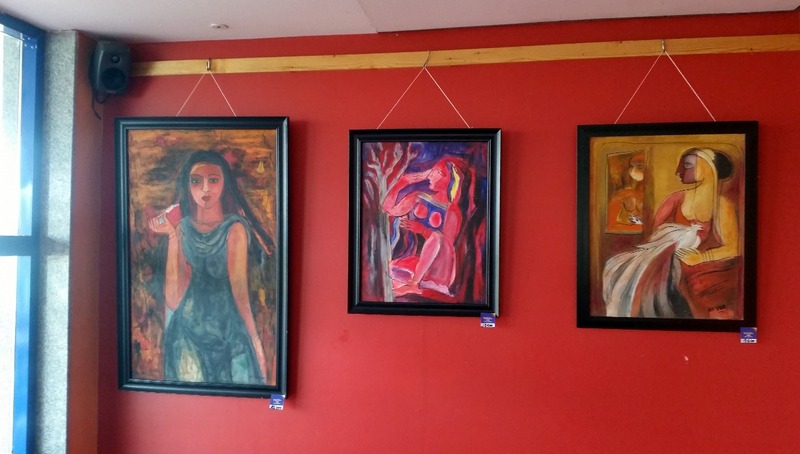 The indoor seating has an art gallery with cool paintings put up in each room. Some of the paintings are for sale. The first floor houses Fikkanaut, a watering hole from the same group. They have a nice outdoor area too, and on a wintery afternoon, I decided to enjoy the sun at this al-fresco seating. 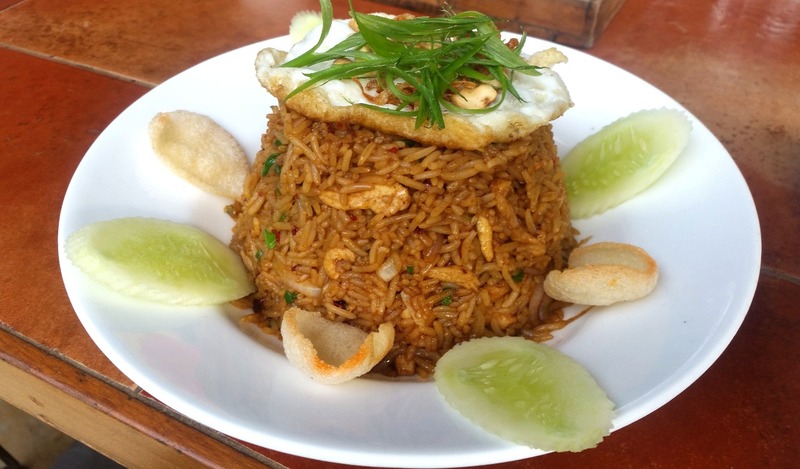 The cuisine of Malaka Spice is inspired by the food from South East Asia. 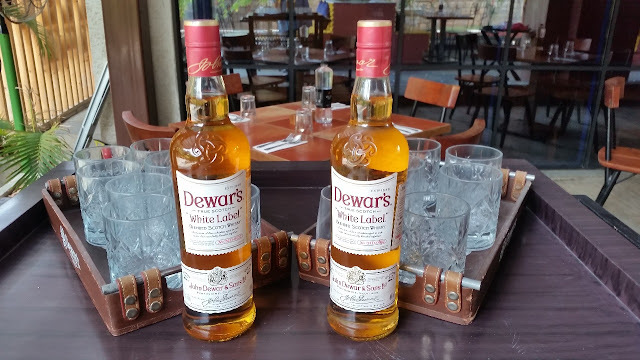 The initial restaurant in Pune is about twenty years old, and to develop the recipes the founders had travelled all over South East Asia, taking inspiration especially the Nyonya cuisine from the straight of Malacca. Some of the dishes served in their outlets even now are recipes of Late founder and Chef Cheeru, who is still the inspiration for the culinary team here. As I settled down with a Virgin Mojito, I had a look at their menu. The soup section had quite a few choices. 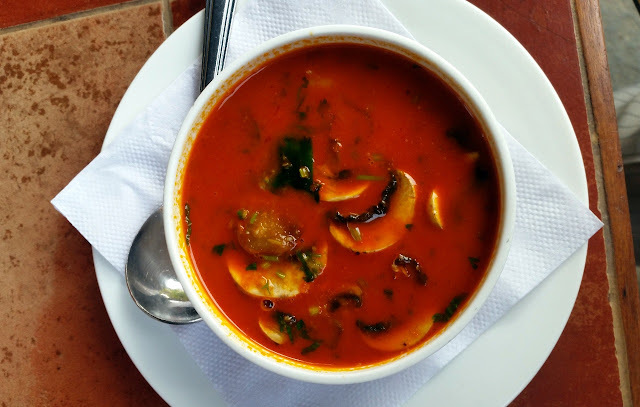 I was tempted to try out the Madurasi, a signature soup from Indonesia, but my love for Tom Yum Goong won over. The Thai soup with prawns and mushrooms did not disappoint me. 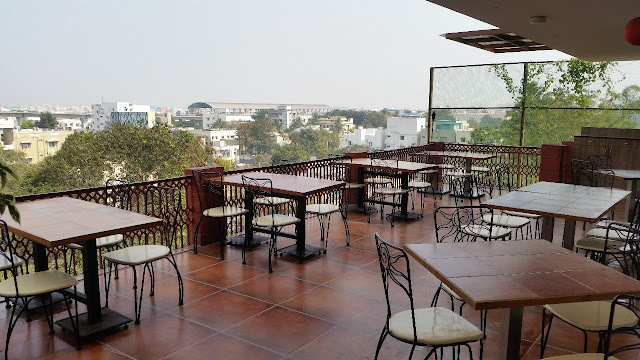 I was told that Malaka Spice farms most of their vegetables and herbs at their dedicated facilities near Hyderabad, and thus ensure the flavour and taste. 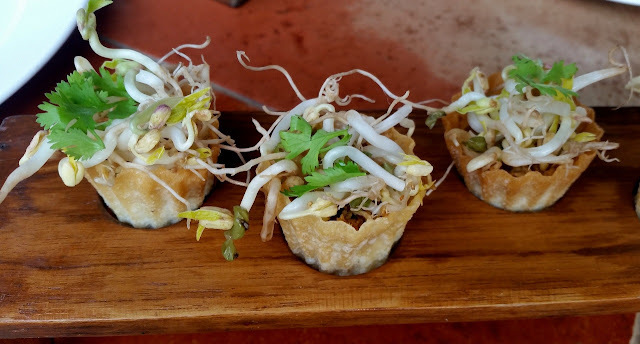 I have had Top Hats, a healthy starter with sprout and chicken served in crispy crunchy shells and loved it during my last visit. I could not help ordering it again. 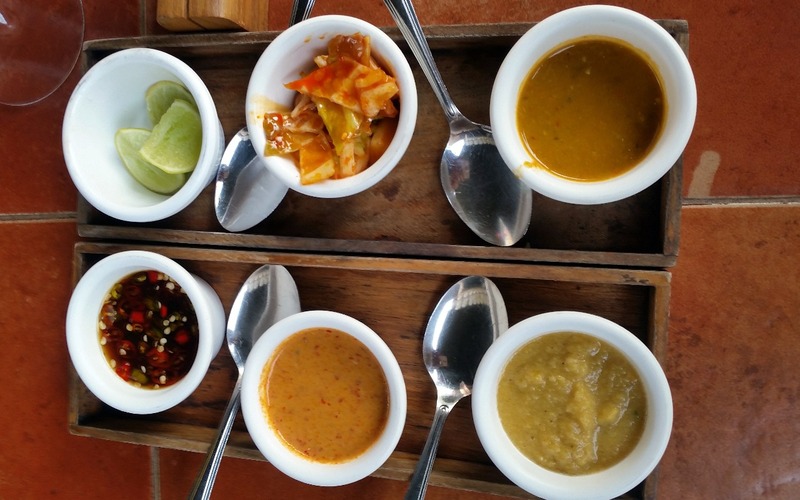 Malaka Spice serves a set of six sauces and dips on the table and almost all of them are delicious by themselves, though pairing the appropriate ones with the starters enhance their taste. 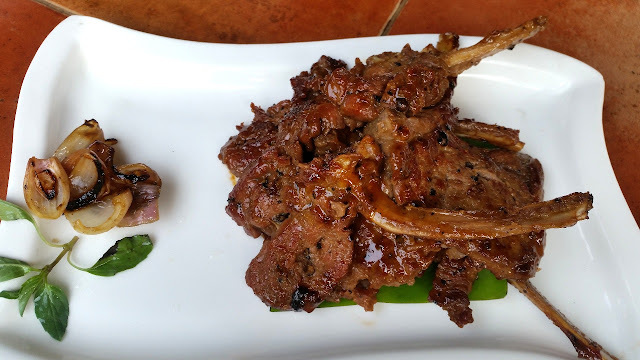 Thai Mutton Chops was perhaps one of the best dishes of the afternoon. The chops are grilled optimally in a slightly spicy marinade. The onion pickle served with it is a perfect complement to the dish. This is a must-try here. Pepper Fish with Garlic was suggested to me for trying out. The soft fish tossed in garlic surely warranted a second helping. Malaka Spice has quite a few good seafood and fish dishes on their menu, of which Randang Fish in Banana Leaf looked interesting. The last starter I tried was Murtabak. This dish is a popular dish in Malaysia, which is a variation of the Arabic Mutabbak, and a recipe due to the influence of Muslim traders. The flour pancakes stuffed with mutton mince were cut into small square pieces. 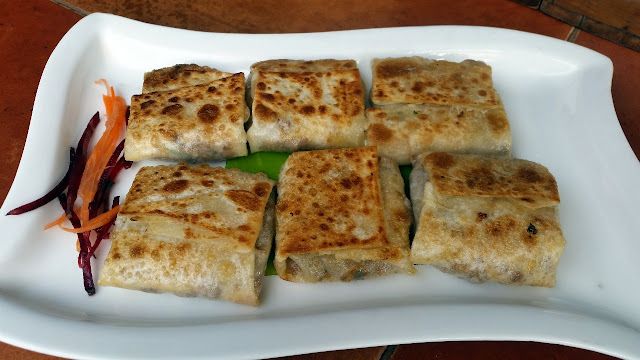 The mutton fillings inside the soft paratha like cover tasted delicious indeed. After trying out the soup and four starters I was pretty full. However, the main courses menu still looked inviting, and I had a go at some of the dishes. 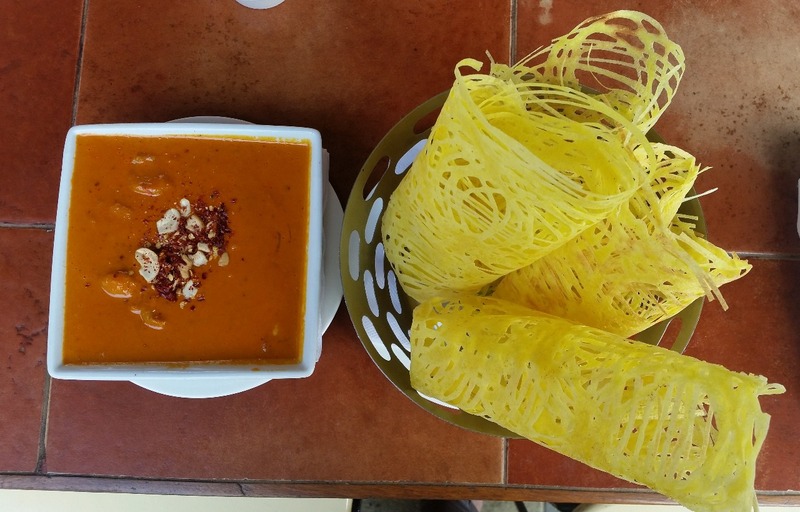 Malaka Spice is known for the combo of Roti Jala and Kari Kaptan. Roti Jala which literally means “net bread” is a popular roadside snack served with curries in Malaysia. The folded bread is light and looks almost like lace. The prawn version of Kurry Kapitan had a gravy with cashew, coconut and myriad spices, and was its perfect accompaniment. I was advised to crumple the roti into the gravy and eat with my hand, and it worked out really well. The curry also goes well with Malaka Herb Rice. One of my favourite Indonesian dishes is Nasi Goreng, and Malaka Spice is also known for this rice dish. 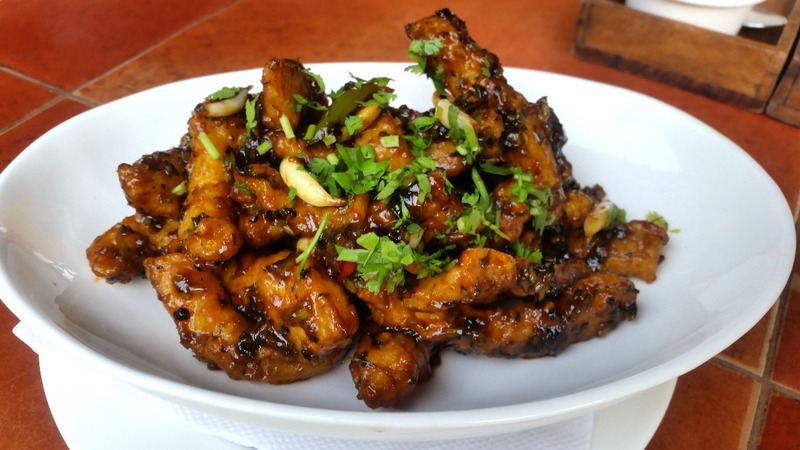 Slightly spicy but sweet, the dish is styled well as it is brought to the table. With a mild soya flavour, the rice and meat combo tasted nice. 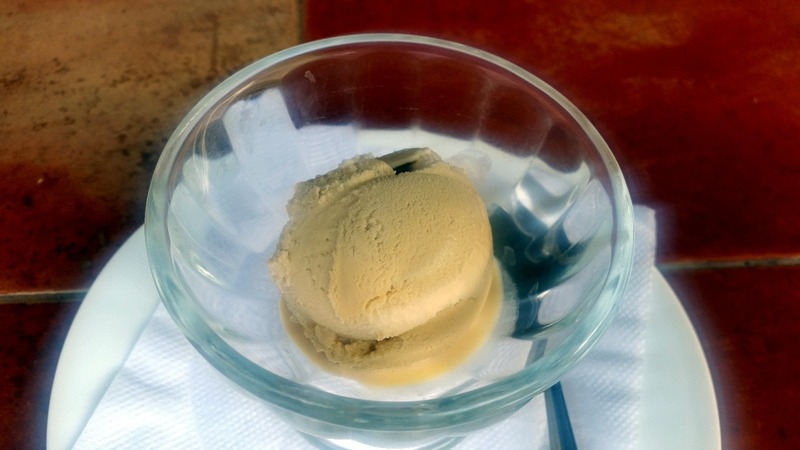 I ended the meal with a scoop of Jaggery Ice Cream. The jaggery used here is quite different from the Nolen Gur which is usually added to the Indian version giving it a slightly different but refreshing taste. I eat out a lot, and in most places, it is a mixed feeling with few good and some bad dishes. Malaka Spice is an exception. I ended up liking almost all the dishes. 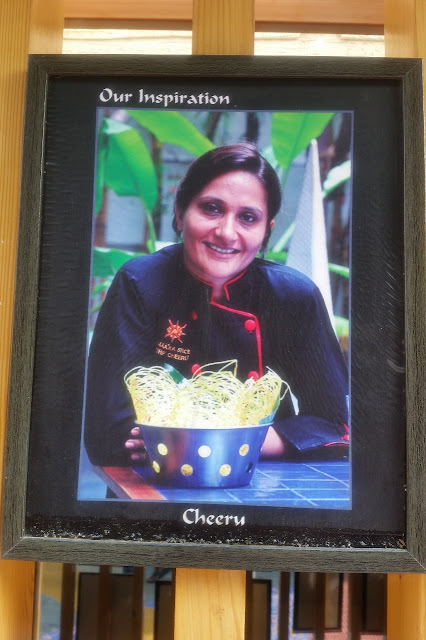 The flavours and tastes of the ingredients are very evident in the final preparation, and a lot of experimentation seems to have gone into fine-tuning the recipes. The open ambience and good service make the experience even better. An average meal for two should cost around Rs 2000 in this place, which warrants a visit from any lover of oriental food. They also have Sunday Brunch spread including select alcohol brands.